At Weareco, it’s our mission to make your 2020 uniform sales smoother, more efficient and more successful for your school. all your stock in place ahead of time and beat the back to school rush. 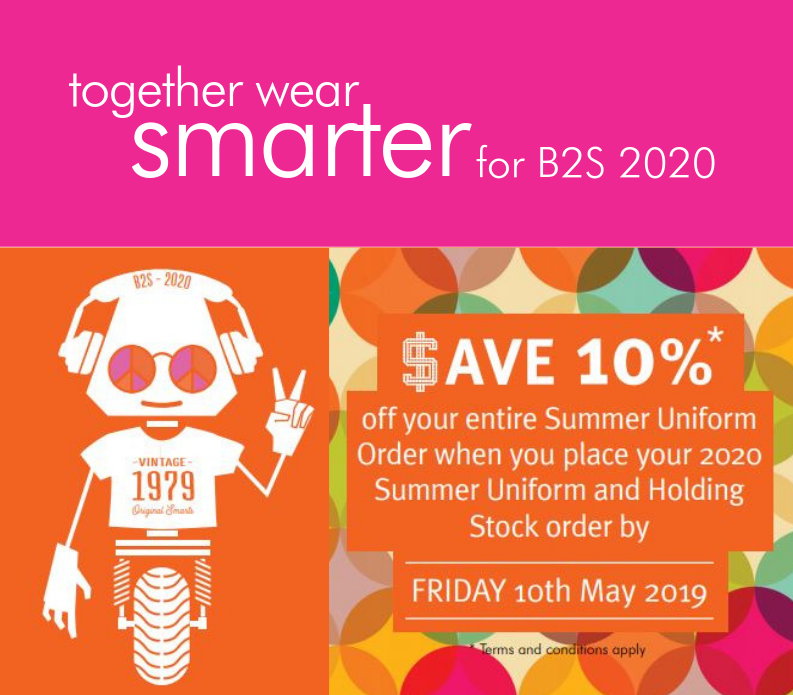 early delivery of 2020 uniforms in Term 4, you'll also save 10% off your entire B2S Summer Indent Order. knowing you’re prepared as possible. experienced team at sales@weareco.com.au to arrange a tailored planning or design consultation.